I got to see John Wesley’s nightcap. Also his glasses and his writing desk. For most people seeing the personal effects of the 18th century founder of the Methodist movement that was the precursor to many Christian denominations would be what you do in London if it’s pouring outside, and you’ve been to Madame Tussauds twice and all the pubs are closed. For me it was a highlight. 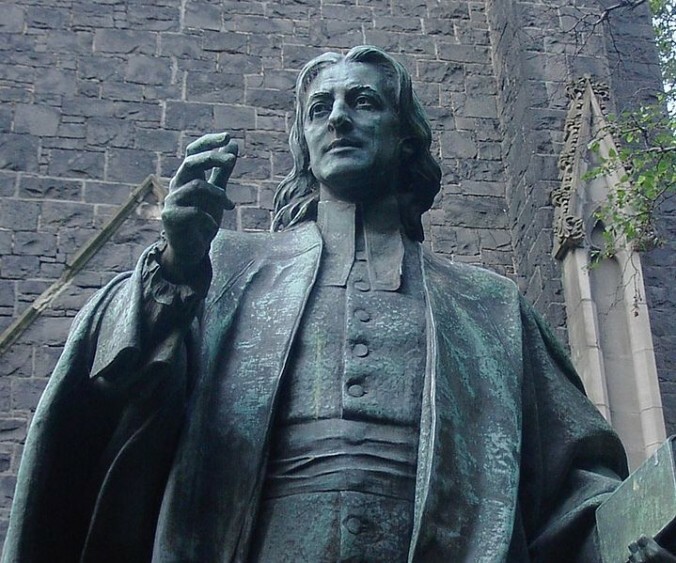 John Wesley was an Anglican priest who, with his brother Charles, started a renewal movement in the Church of England. He insisted that the personal piety of prayers and Bible study be linked to acts of mercy and social justice. Under John Wesley’s leadership early Methodists took on prison reform, created schools for the children of factory workers, built hospitals, and worked for the abolition of slavery. During his lifetime Wesley road 250,000 miles on horseback, delivered 40,000 sermons and, though not a wealthy man, gave away £30,000 (about £1,680,900.00 according to www.nationalarchives.gov.uk/currency). When Wesley died in 1791 the Methodist movement had over 135,000 members and 541 itinerant preachers. John Wesley was a force of nature. I count it a major accomplishment if I write a sermon and do my laundry on the same day. But when I saw Wesley’s nightcap and eyeglasses I didn’t remember his success, but his failures. I love reading Wesley’s sermons on grace (God’s free gift of love that we cannot earn). If Wesley, who worked so hard to earn God’s favor and failed so miserably, could experience God’s grace, then maybe there’s hope for me. These days I find myself encouraged by Peter Boehler’s advice to Wesley upon Wesley’s return from the American colonies: “Preach faith until you have it, and then, because you have it, you will preach faith.” Wesley went on to have a “heart warming experience” in which he became absolutely assured of God’s love for him. I wonder if he would have had that experience without first feeling God’s crushing absence. Great article and good reminder of Wesley’s journey. That last line is so spot on. Thanks for reminding us that those whom we look up to fail(ed) as well.